I don't recycle. There, it's out, I've admitted it. Step one, done. Now, if you know me, this comes as no big surprise. I'm skeptical about recycling and irritated by a) its inconvenience b) the aura of moral superiority surrounding those who recycle c) the space required by a separate recycling bin in my apartment and d) anything mandated by the SF Board of Supervisors. Despite this truth, I'm a fervent environmentalist (with a dash of fatalism thrown in for good measure). I wholeheartedly believe that the ecosystem is more important than we are. More important than our SUVs or hairspray or toxic trash heaps or giant screen teevees. Like the Lorax, I too will speak for the trees if given the inclination and opportunity. I believe that if human beings were to disappear tomorrow, the earth would continue on just fine without us--better even. So, I'm concerned, albeit reluctantly, when I see reports that the Greenland ice sheet is melting away and may slip off into the ocean and flood those of us who live on the coasts. Or, I get choked up when Noah Wiley tugs at my heart strings with videos of polar bears swimming for their lives because the ice is gone. And how should I react the rapidly disappearing glacier on Mt. Kilimanjaro? Why do I care? If I'm such a sarcastic fatalist, shouldn't I be riding my own melt and making snarky comments as the world slowly drowns? Normally, I would say yes. Let's face it: Man may be a failed experiment. For all I know, it's time to turn the planet over to the planaria or cacti. All hail our prickly overlords!! But, and I'm being serious here, what concerns me most is that THE ICE IS MELTING!! Did you read the title of this blog when you came here? It's ICED tea and sarcasm. Seriously, what would I be sans ice? Some stuffy Brit sipping his Earl Grey, eating a crumpet and dishing on the world and its foibles? Who wants to read that? And the impact on Southern culture would be impossible to measure. Without iced tea, all communication and family units would simply break down. 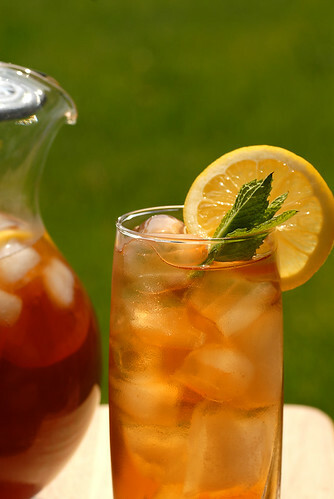 Offering a glass of iced tea is an overture to fellowship, collaboration, and common respect. Do we really want to destroy all that?! So, my friends and readers, I beg you. Save the ice and save the planet. Turn off your air conditioning, get out of your cars and walk, turn off the lights, quit buying crap you don't need, and live more simply. The ice will thank you. The tea will thank you. And I will thank you. What are ya talk'n bout? Ice comes from Fridgidaires. Fridgidaires? What is this sorcery of which you speak? !